Traditional medicine like Ayurveda and Yoga have always advocated the benefits of fasting at least once or twice a week. However, fasting in Ayurveda and Yoga is not 'complete or prolonged fasting’ but intermittent, carried out under proper guidance and supervision to cleanse the body and mind. Professor of Gerontology at the University of California, Professor Valter Longo said, “We could not predict that prolonged fasting would have such a remarkable effect in promoting stem cell-based regeneration of the hematopoietic system. He further noted that when you go without food, the system attempts to conserve energy, and in the process, ends up recycling many immune cells that are not required. 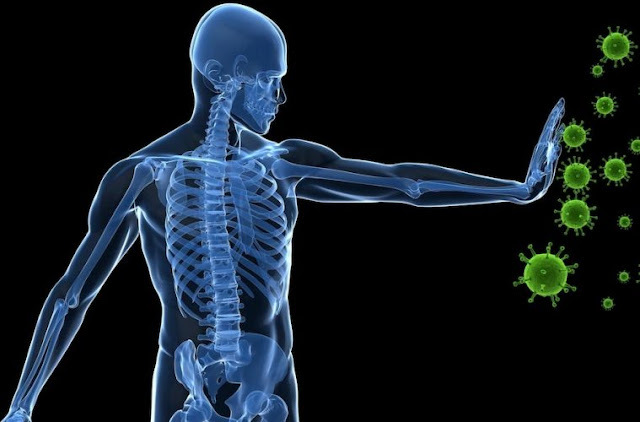 This means that if the immune system is rejuvenated, chances of leading a long healthy life are a foregone conclusion. Any form of dieting has always been criticized by the medical fraternity, as doctors feel that it will do more harm than good to the body. However, the new research suggests that starving the body can result in renewed production of white blood cells, which are the soldiers of the body. According to the researcher, the reason why prolonged fasting is good for the body is that it not only makes the body use up the extra store of glucose, ketones, and fat but also lowers the white blood cell count. This depletion of white blood cells which are necessary for fighting diseases forces the body to look for other means of staying fit which results in a regeneration of new immune system cells from within the remaining cells. Damaged cells, therefore, receive a new life in this process. As part of the study, a group of participants was instructed to fast regularly for 2-4 days over a period of six months. When researchers studied the changes to the body, especially the cell makeup, they found that there was a marked reduction in the production of the PKA enzyme, which is supposed to be a high-risk hormone for cancer or tumors. Participants in the program also seemed to be rejuvenated. Further tests showed that prolonged fasting had increased benefits for patients undergoing chemotherapy. Researchers found that patients who fasted for 72 hours prior to the chemotherapy showed reduced levels of toxicity in their bodies after the treatment. “The results of this study suggest that fasting may mitigate some of the harmful effects of chemotherapy.” Co-author and assistant professor of clinical medicine, Tanya Dorff remarked. It is a known fact that the side effects of chemotherapy are huge, especially for the immune system so if fasting does have these benefits, then there is some hope for cancer patients. Scientists are also looking into the overall benefits of fasting which may not be limited to the immune system. Weight loss from fasting is a foregone conclusion but one should remember that fasting is not a permanent solution to losing weight. If it is not backed up by a proper exercise regime or a balanced diet, you'll probably pile on extra calories when you start eating again. Your body will begin to repair itself by a process called autophagy wherein waste is recycled and oxidative stress repaired. Research also suggests that fasting can sharpen the mind. It is important to note that any kind of fasting should not be carried out on a whim but should be done under the guidance of a physician or nutritionist. Further, certain categories of people like pregnant women, breastfeeding mothers, diabetics and children under the age of 18 should not even attempt to fast.